Directions: From KL via the NKVE, exit at the Setia Alam interchange before the Bukit Raja Toll Plaza. 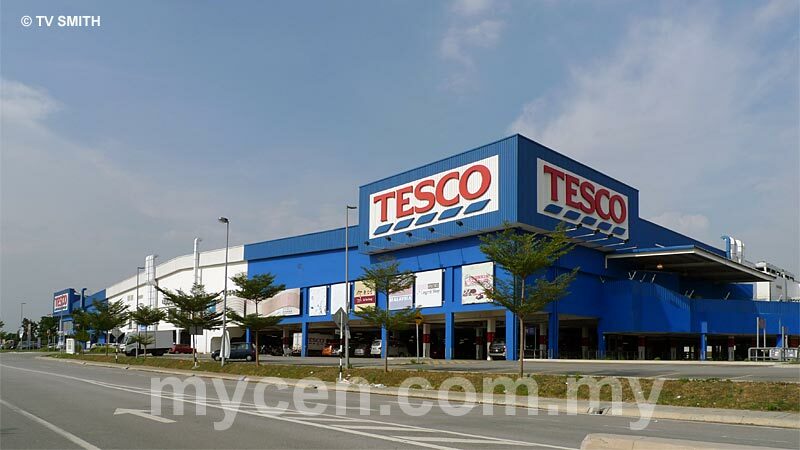 Info / Insights: Tesco's latest store is at the new Setia Alam township, off the NKVE. The other nearby Tesco stores are at Bandar Bukit Tinggi and at Shah Alam. Setia Alam is a 2500-acre development project by established SP Setia Property Group (http://www.spsetia.com.my/setia_alam/). It is interesting to note that the developer state that all their units are North-South orientated to avoid facing the evening sun. Geographically Setia Alam is in Northern Klang but technically; it is part of Shah Alam. In fact, the new Klang transportation (bus & taxi) terminal known as Klang Sentral is just across Jalan Meru. Klang Sentral is much-maligned for its distance from Klang town center. Albeit slowly, the new area in front of the bus station is seeing some new commercial activities such as the recent opening of Giant Hypermarket.